Tune into an episode of Law & Order or The West Wing, and it's immediately obvious: What you wear to work matters, especially in a formal environment. While you personally may not undergo the same amount of daily drama endured by the lawyers and politicians you see on TV, there's still a set of guidelines when it comes to getting dressed. While every office may have its own distinct set of rules (whether or not jeans fly on Fridays, for example), there are general principles that many women follow when dressing for a more conservative setting. 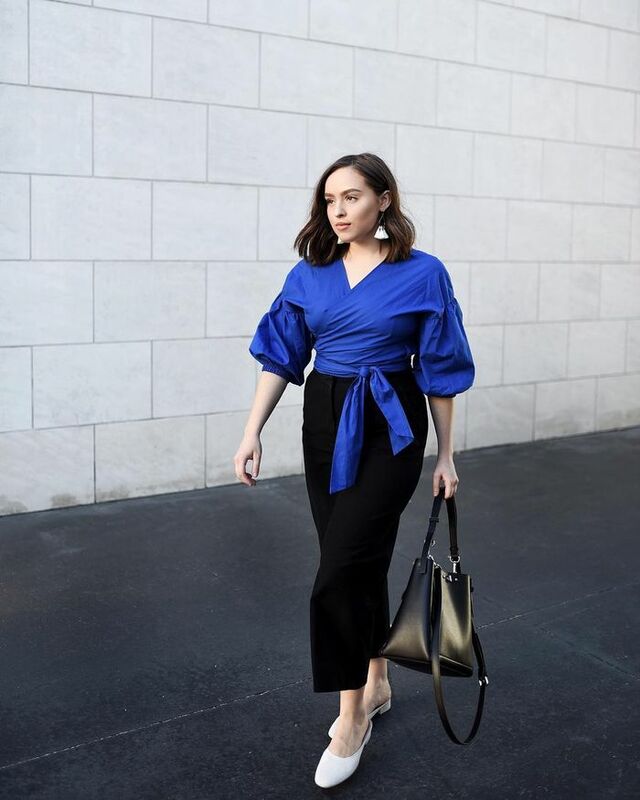 To help break down the dos and don'ts, we turned to Who What Wear's Insider community on Facebook to tell us about their own experiences with corporate dressing. From the footwear to avoid at all costs (sorry, Birkenstocks) to the simple guideline on bra straps, you'll find the yeas and nays of corporate dressing according to the women who know best. Read on for the seven things to avoid wearing, along with exactly what to opt for instead. "Shorts are a big no," noted one Facebook user, while others commented that miniskirts and short dresses also don't work in a more corporate environment. Since, in general, showing too much skin can feel informal, avoid any tops that cut too high on the waist, and instead try tops that can be tucked in or that hit at or below the waistline of your bottoms. While some more formal offices do allow denim, this is a major point of contention among the women in our Facebook group. The general rule: When in doubt, stick to trousers or slacks. Distressed denim, wrinkles, or anything that looks "dirty" are sure no-gos, according to women in corporate environments. Instead, stick to simple, sleek pieces such as a crisp blazer. Generally speaking, opt for tops that hide your bra straps; avoid anything sheer, plunging, or too strappy. One suggestion from the Who What Wear Insiders group? "If something was sleeveless, I'd say straps should be at least three fingers wide." Flip-flops and Birkenstocks top the list of no-gos from our community when it comes to footwear, but in general, try avoiding open-toe flats or flat sandals as they tend to feel too casual. In some offices, open-toe heels may be appropriate, but pumps and classic flats are the safest choices. Now you're all set to build your work wardrobe.